You can also contribute to the conservation and improvement of biodiversity. Thanks to the successful project of reintroduction of Ospreys in Andalusia, the breeding population is well established and growing. After this first phase of the reintroduction is completed, it is necessary to closely monitor the population, the potential threats that could be a risk or any factor not to be expected. Due to the growing population and the high availability of places for nesting in Andalusia, it is very difficult to monitor all possible new areas for breeding and the already established one. For this reason, the support and collaboration of volunteer people developing “citizen science” is an essential tool in this phase of the project. Monitoring of breeding pairs and wintering areas. Looking for new territories and readings PVC rings. Helping in the building of nests and perches. Collaborating in banding and ringing. Disseminating the project through environmental education to preserve the osprey by monitoring the areas with disturbances. 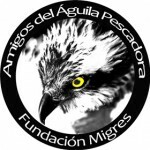 These activities take place in natural areas with Ospreys in the province of Cadiz under the technical supervision of experts of Migres Foundation.